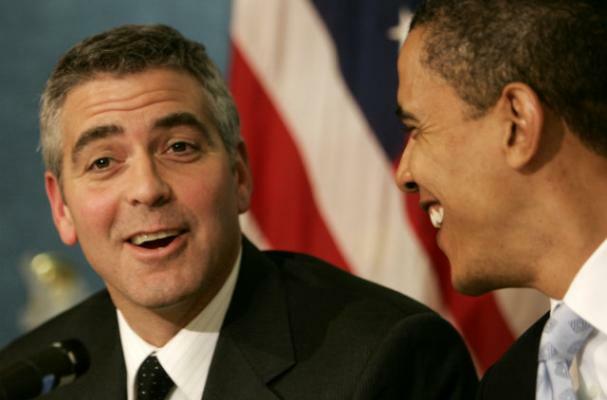 Wolfgang Puck is set to cater the fundraiser George Clooney is throwing for Barack Obama on Thursday evening. The event, which is taking place at Clooney's house, is expecting 150 guests who paid $40,000 to dine with the Hollywood elite. Puck and his staff apparently had to sign a confidentiality agreement and were hired with the warning that the goings-on at Thursday's event are strictly top secret. According to a source, Puck wont be making his usual dishes, but will be catering a menu made specially for this event. "The food is going to be a lot better than the Oscars," the source said. Whoops confidentiality agreement broken... Or are we supposed to believe that someone else wanted to give Mr Puck free publicity? And should all paying $40,000 be so glad that the food will be better than at the Oscars?? ?